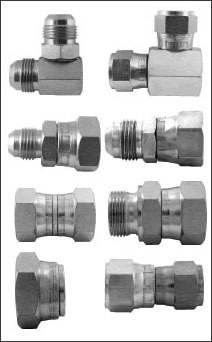 The operating pressures of the adaptors will generally follow the same values as the other components or pipework being connected. But it’s always sensible to double check. Particularly, be aware of the limitations of taper thread working pressures. 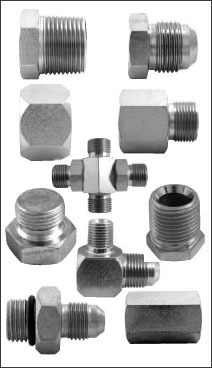 Hydraulic adaptors are an important part ot the pipework system. Whether they are being used on flexible hoses or rigid pipework, they are frequently the essential link between other pipes and/or components. They come in a vast array of thread styles, unit styles and thread sizes. 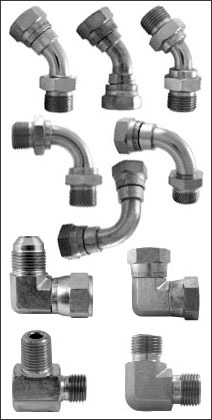 Often because of the variety of manufacturers preferred thread and sizing on components, there will be a need to ‘adapt’ pipes or other components to a matching configuration. This is where the hydraulic adaptor scores. The range of sizes available is variable according to the types of fitting style used. 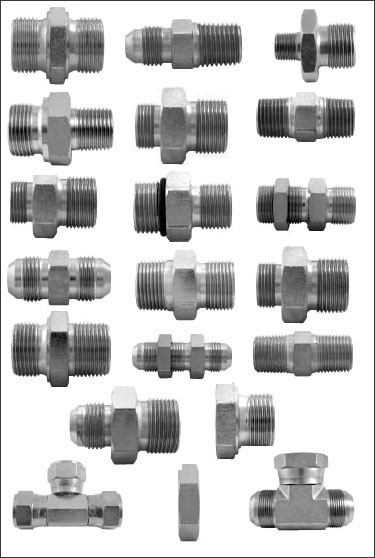 The basic adaptors such as BSP Male x Male for example covers the full 1/8″ – 2″ range,whereas something like a Bsp Male x Metric Male covers a range from1/8″ BSP – 1″ BSP and 14 x 1.5 – 33 x 2 respectively.